The IFAC / IEEE / IFORS / IFIP / INFORMS MIM 2016 Conference is the next one in the series of IFAC events on Manufacturing Modelling, Management, and Control, organized since 1993, the previous one having held in Saint Petersburg, Russia, in 2013.
) 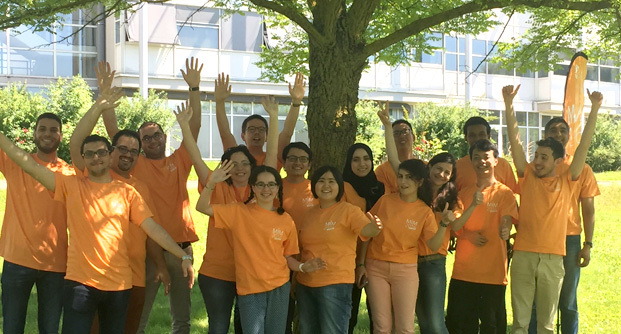 under the organizational support of the Laboratory of Industrial Systems Optimization (LOSI), one of the teams of the Charles Delaunay Institute (ICD) of the University of Technology of Troyes, as host organization (www.utt.fr). The general theme of the 8th IFAC Conference on Manufacturing Modelling, Management and Control is Optimization and Systems Science for Risk Management and Disruption Recovery Control. The conference will focus in particular on the most innovative methods proposed in the last few years in the context risk management, resilience, and disaster recovery control in the 21st century. Also other subjects related to Manufacturing Systems and Logistics topics will be considered. This conference will provide a remarkable opportunity for the academic and industrial communities to address new challenges, share solutions and discuss future research directions. The agenda will include plenary speeches, invited/special sessions, and industrial panel sessions. Contributions are expected from academia, industry, and government institutions and agencies. We will have the honor to welcome Pr Wilhelm Bauer, Pr Michel Gendreau, Pr Stanley B. Gershwin, Pr Kathryn E. Stecke and Pr Xiaolan Xie as Keynote Speakers. 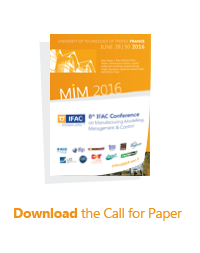 WELCOME TO MIM 2016, WELCOME TO TROYES, IN CHAMPAGNE !